Situated at the front of the site overlooking Morecambe Bay across to the Lakeland hills. 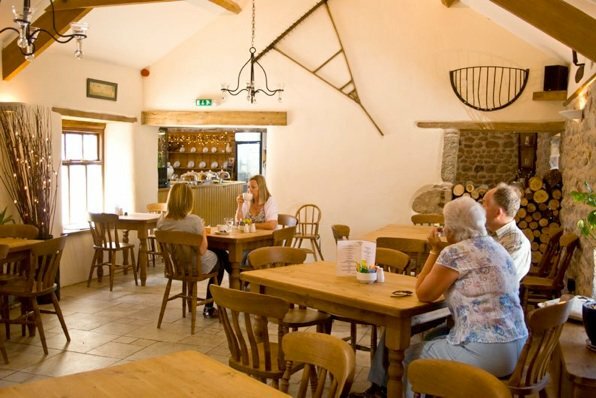 Somewhere villagers and visitors meet to relax and welcome friends to this beautiful area. Enjoy a cup of freshly ground coffee or select from our choice of teas. On a hot day you can site outside overlooking the Bay and on cooler days sit cosily by the woodburners. Meals range from homemade soups to our every popular lamb burger made with our very own salt marsh lamb or Morecambe Bay potted shrimps to name a few. All this surrounded by beautiful countryside, for walking, cycling or just to sit and enjoy.